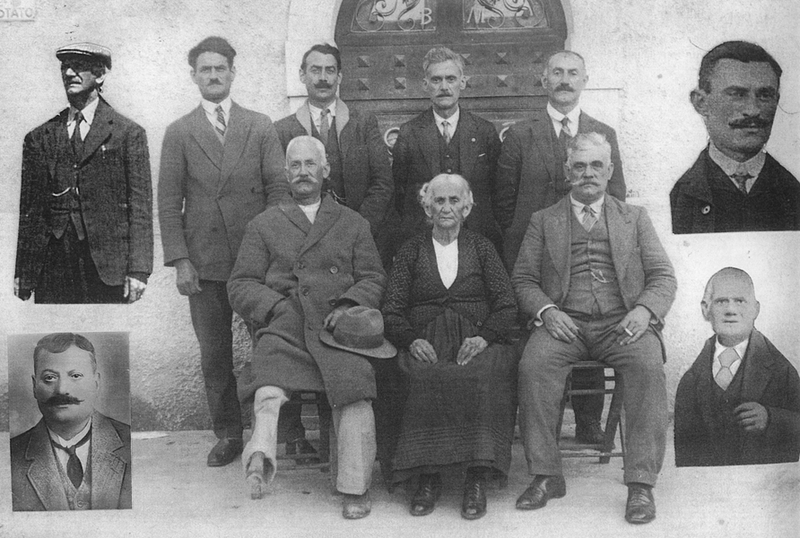 Our great-grandfather Barbato Morelli had eight brothers; Giacomo, Vincenzo, Annunziato, Antonio, Giuseppe, Constantino, Domenico and Pietro, or Peter as he would later be known. The family owned several small patches of land which they cultivated and produced olives and other produce, but it wasn't enough to provide an income. They set off on foot and picked up work on the way to get enough money to carry on. 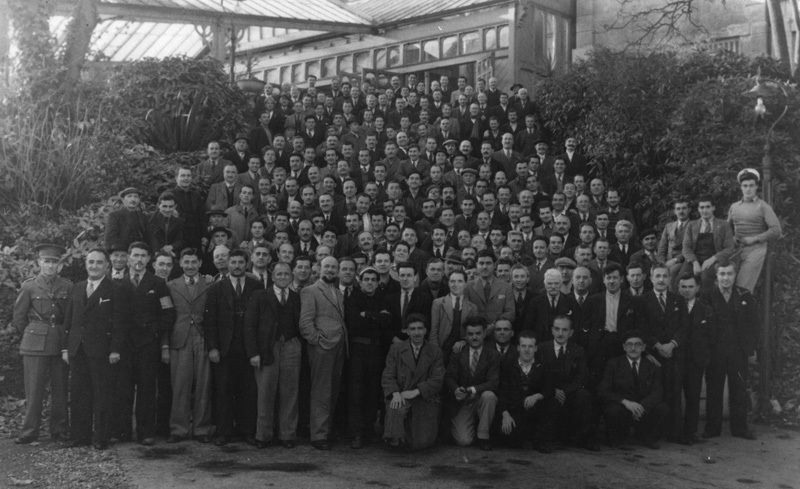 It is not clear just how the brothers separated, but we do know that Peter ended up in Paris and was given a job in a factory as a glass blower. Peter was then offered a position in another glass factory just outside London which he accepted. He travelled to Northern Ireland where he knew that his brother Giuseppe (Joe) had set up in business. Joe had established a small cafe in Ballymena and Peter helped him until he gathered enough money to go it alone. He travelled further north and he established his very own business in Stone Row Coleraine. 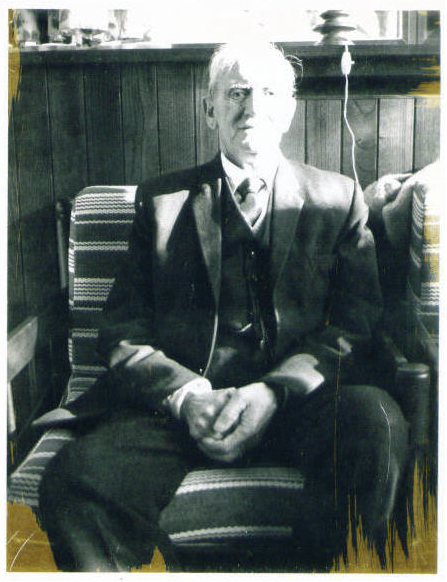 He sold fish and chips, ice cream, confectionery and tobacco as well as running a taxi service from the premises. Not long after settling in the town, he met and fell in love with Annie Dymond, a local woman who captured his heart. 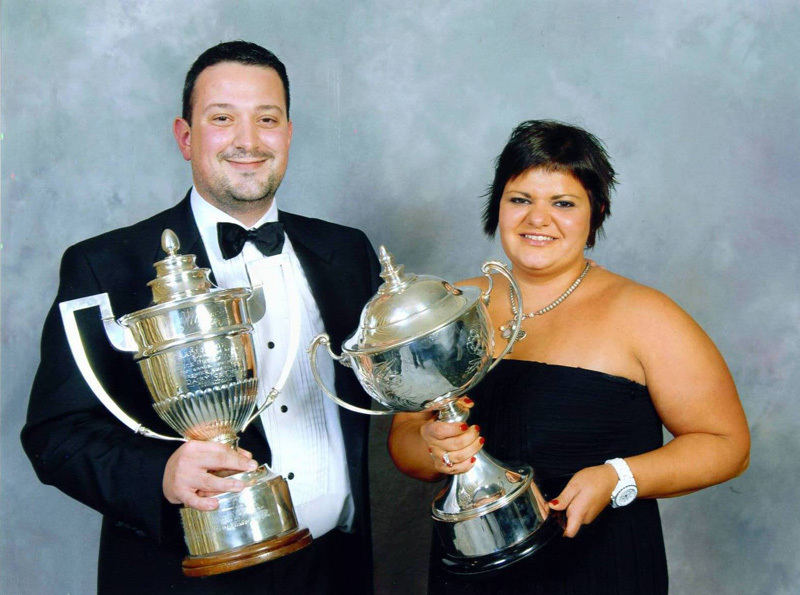 They married and worked together to expand the business opening a second shop 'The Ice Palace' in Portstewart. Peter had been given the family ice cream recipe by his father and although it was delicious, making ice cream was a very labour intensive process and extremely difficult. The ice cream was made using ice & salt for the freezing process. Blocks of ice would be brought from Belfast on the train to Portstewart, then transferred to a tram down to the promenade. The liquid ice cream mixture would then be poured into a metal can made from zinc with a wooden surround. In the space between the can and the wooden surround, Peter poured a mixture of ice & salt and stirred it until the liquid began to freeze. They were happy that Peter's nephew Angelo (our Nonno or grandfather) came to join them. After finishing his education, he soon realised that opportunities were scarce in Italy and so he decided, just like his uncles to leave home to seek a future in Ireland. Angelo learned the business and he worked hard for his uncle Peter. Angelo found his feet very quickly and although he missed his sweetheart Anastasia desperately, he knew that the opportunity of owning his own business in Ireland was too much of a draw to compromise his future. Upon reaching his 21st Birthday, the ambitious Angelo asked Peter to sell him the Portstewart shop. Eventually, Peter agreed and let him have the shop for £600 which Angelo paid back in instalments until the debt was cleared. ​He managed to save enough money over time to travel back to Italy with the hope of marrying the beautiful Anastasia Cassoni. Her Father eventually relented to Angelo's request and permitted him to marry his daughter. He had to prove to him that he could look after her and that he did! 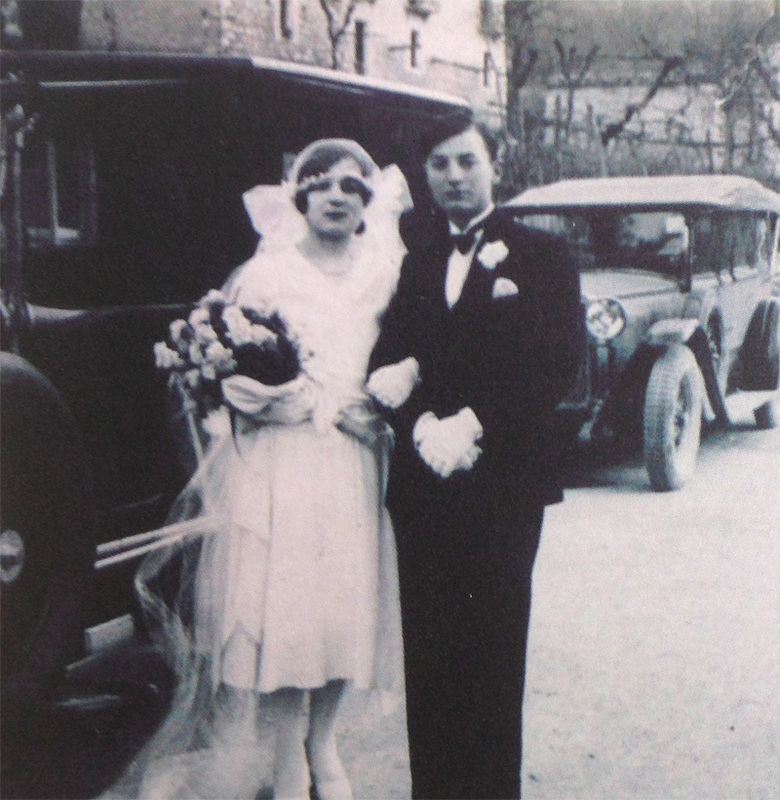 They were married in the Church of San Barbato in Casalattico and shortly after the wedding, the couple prepared for the trip back to Portstewart. Before long the couple were expecting their first child. Baby boy Nino was born in 1932. A second boy called Corrado arrived in 1933 and Guido, a third boy completed the trio in 1935. ​Meanwhile back in Portstewart there was much talk of the impending war. Sure enough with Mussolini forging alliances with Germany, they joined forces and declared war on Britain. Angelo was taken from his home in Portstewart and transported to Crumlin Road Jail in Belfast. Anastasia was left alone in Portstewart with her youngest son Guido. Her other two sons were far away in Italy with no communication. 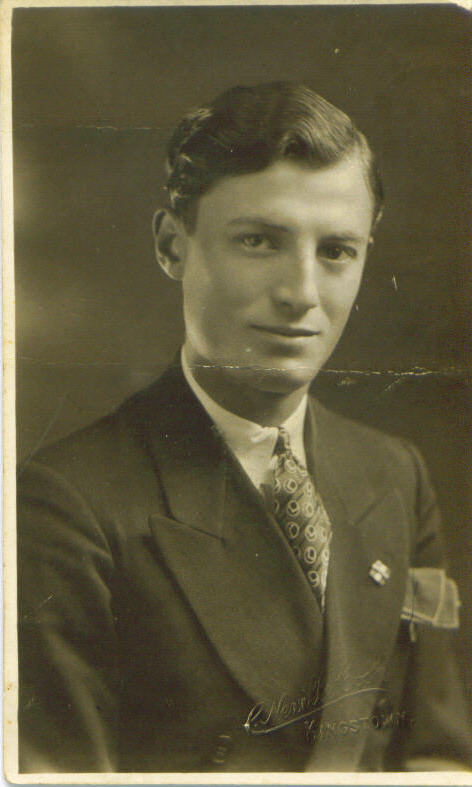 Angelo was taken to an internee camp in Lancashire and later to another internee camp on the Isle of Man where he stayed for six years. ​Angelo was permitted to return to his wife and son in Portstewart. 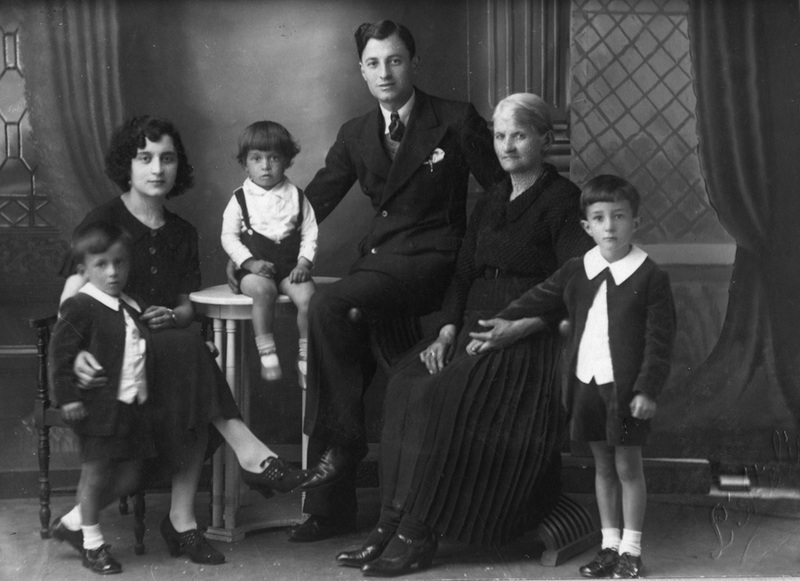 The whereabouts of Nino and Corrado was unknown to Angelo and Anastasia. It turned out that they had been placed in a missing persons camp in Aversa, close to Naples where they would stay for a short time. In an ironic twist of fate, the commander of that camp was a Mr. William Irwin Cunningham, an ex town clerk of Portstewart. He recognised their name on the register and sent for them telling the boys not to worry and arranged for their safe return to Portstewart. After 6 long years, the family would at last be reunited. ​In the post war years, the economy became stronger. Peter Morelli retired and Angelo had taken control of the shop in Stone Row Coleraine as well as opening a new shop in Portrush called the 'Shamrock Corner'. 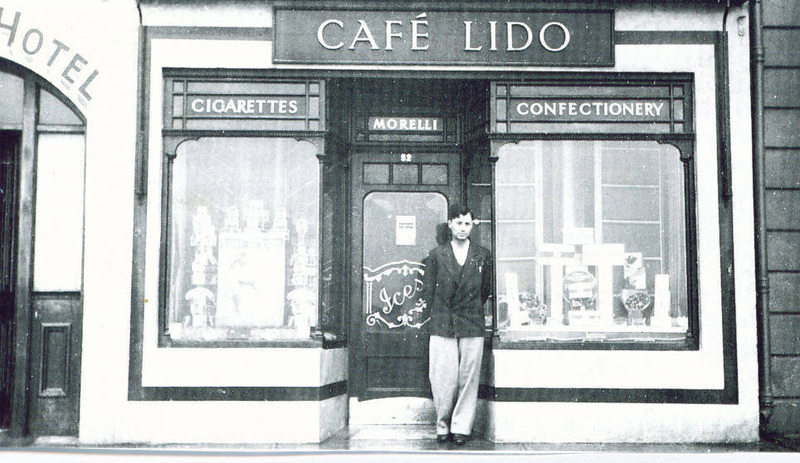 This shop was later renamed 'The Savoy'. 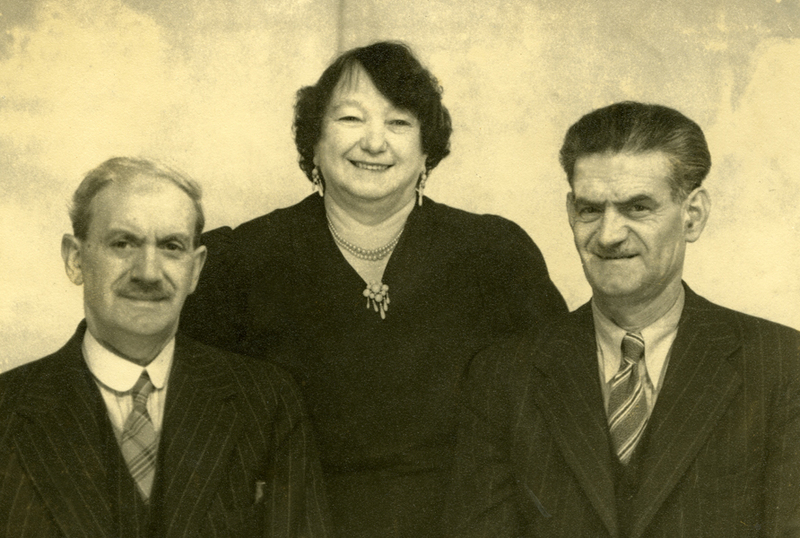 As the boys all grew up in the family business Angelo and Anastasia had decided that the three shops would be their legacy to each of their boys. 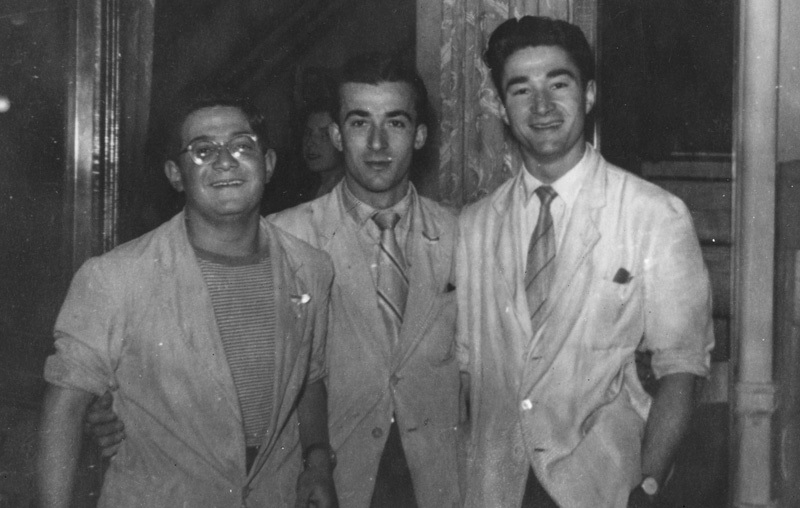 Laughably, even after the boys had become engaged to their respective wives, Angelo took them to Italy in the vein hope that they would meet Italian wives. This of course didn't happen. 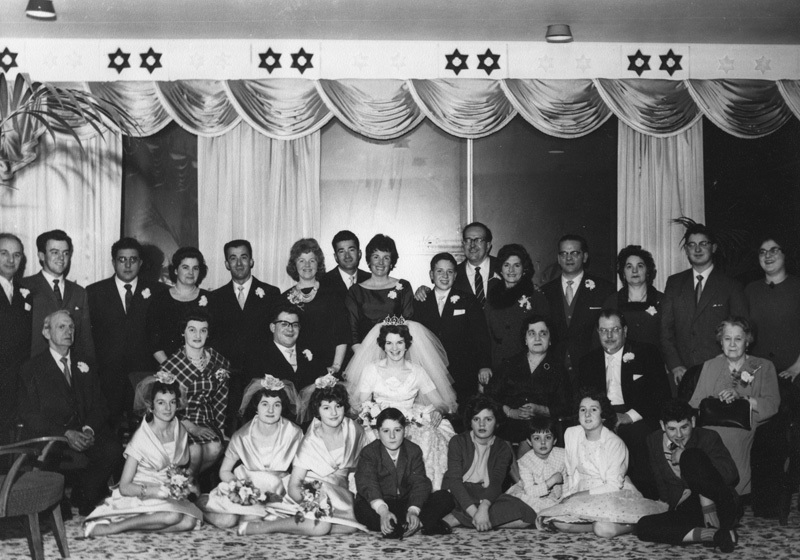 Guido was the only one of the boys who married someone from another family. 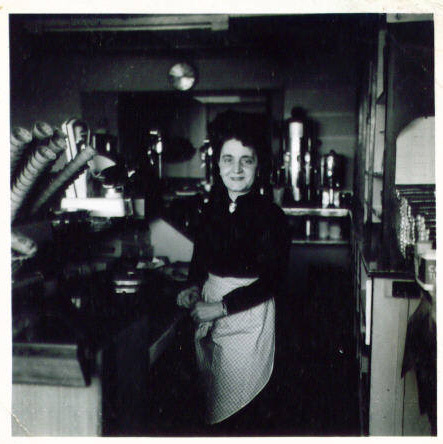 Rosemarie Williams came from the large DiVito family from the same area in Italy who had settled in Dublin. 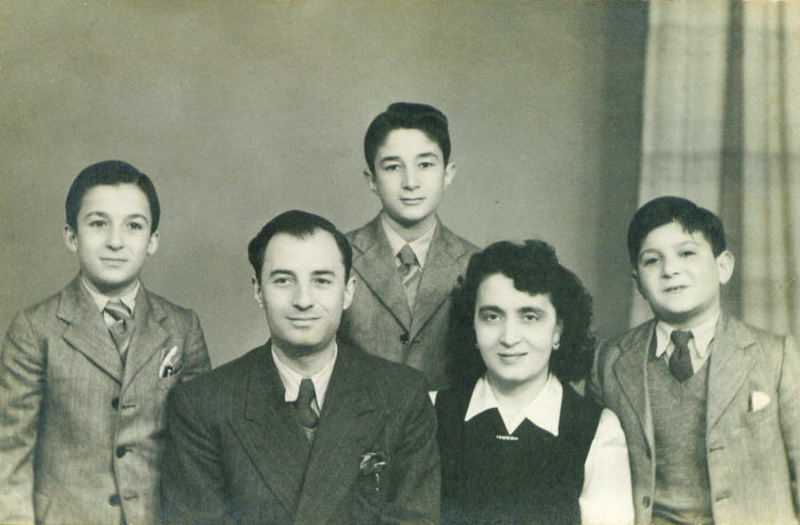 With the family growing almost every year with grandchildren for Angelo and Anastasia, and as they grew closer to retirement age, they wished to return to Italy. They had always said that when they did retire, they would go back to Italy because that’s where their roots belonged. In 1974, they travelled back to their native land to enjoy the fruits of their labour. They kept a small flat in Portstewart and returned often for Christmas and other family celebrations. 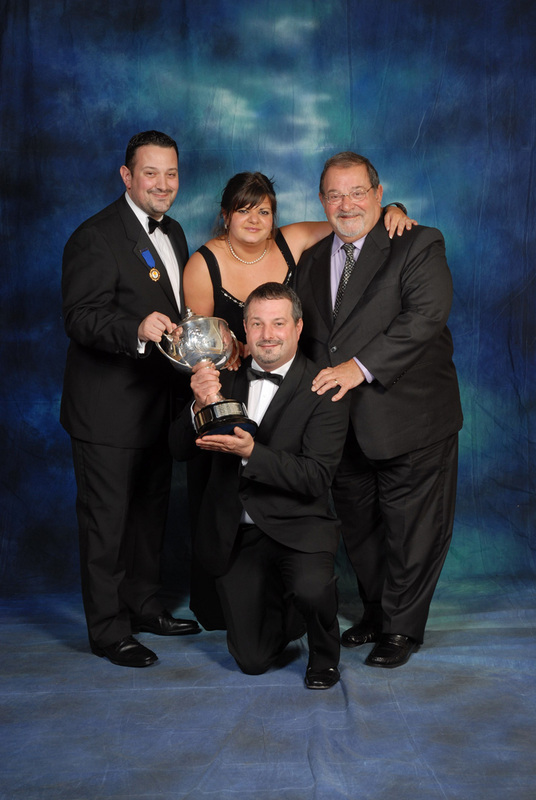 Morelli's Ice Cream wins its first major award in the National Ice Cream competitions in Bournemouth 1992 for Toffee Crunch ice cream. A first for our family business. Our Nonna Anastasia passes away in Italy. Almost the entire family travel to Italy for her funeral. Guido and Arnaldo Morelli establish the wholesale side of the business making and selling ice cream from our existing production facility in Portrush to hotels, restaurants and retail outlets throughout Northern Ireland. 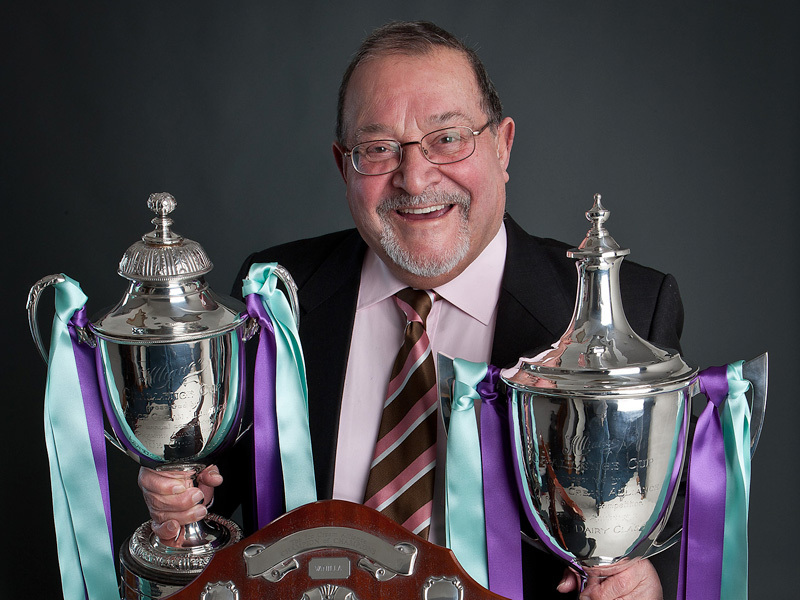 BBC Northern Ireland screens a forty minute documentary on the remarkable life story of Angelo Morelli. 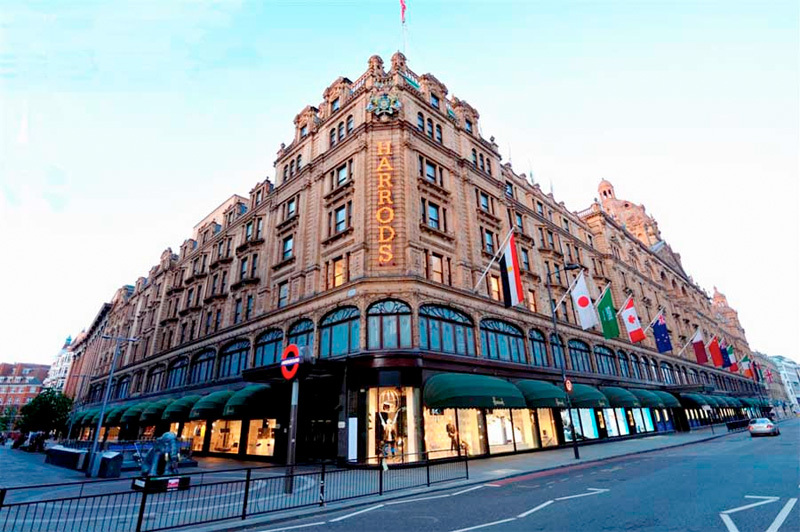 Our ice cream is selected by the world's most famous department store Harrods to be sold in their food hall as part of a special promotion highlighting the best foods from around the British Isles. 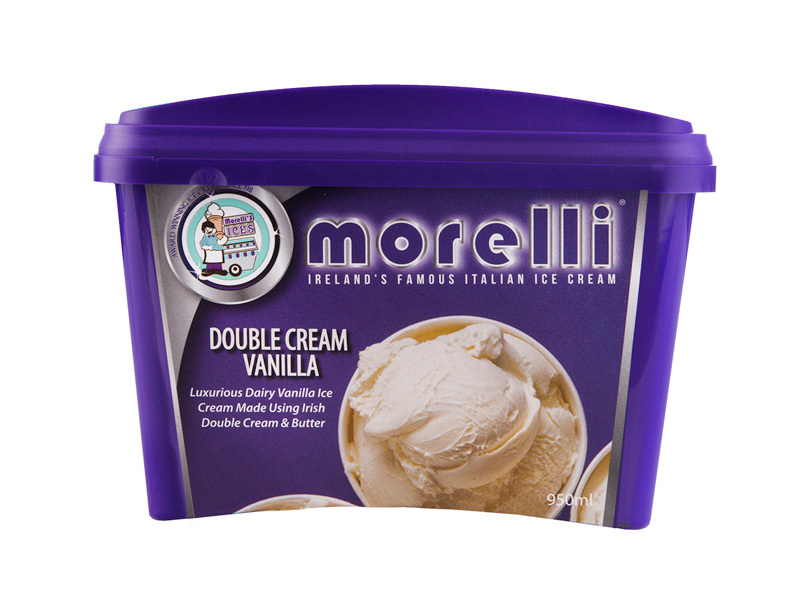 ​Morelli's creates history by winning two first prizes in the National Ice Cream Competitions for Vanilla ice cream. 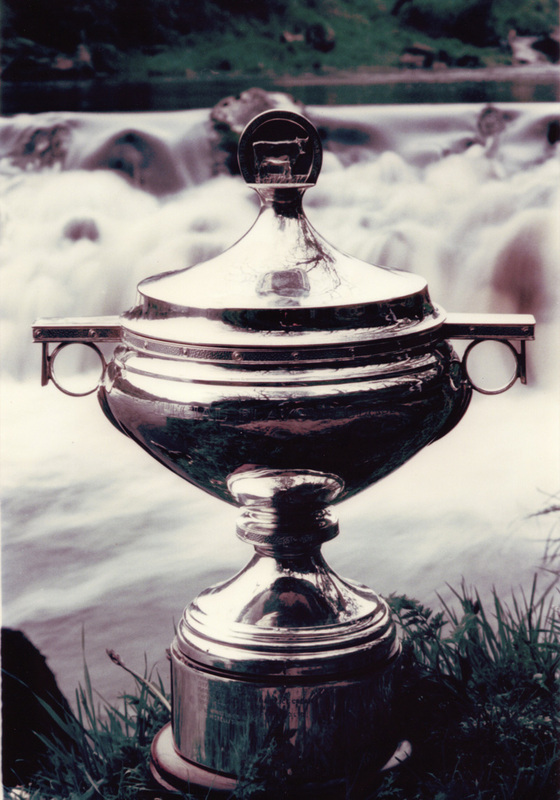 We were the first company ever to secure the coveted 'Double'. 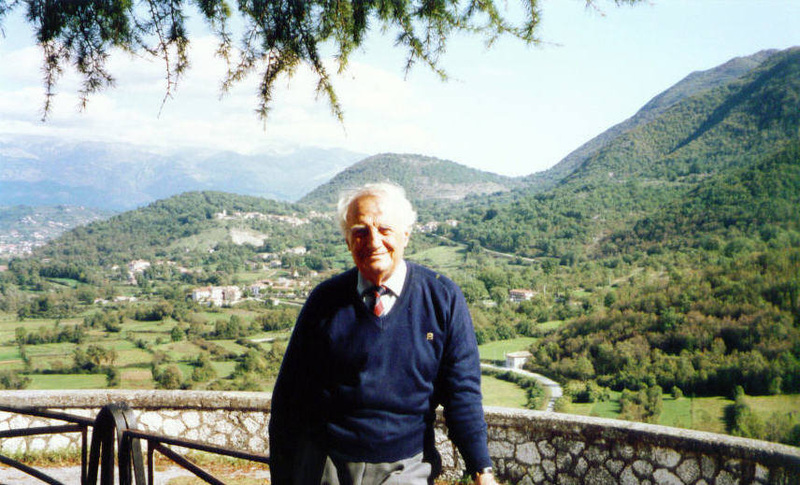 Nonno Angelo Morelli dies in Italy at the age of 99, just eight months away from his 100th Birthday. The Family travels to Italy for his funeral. 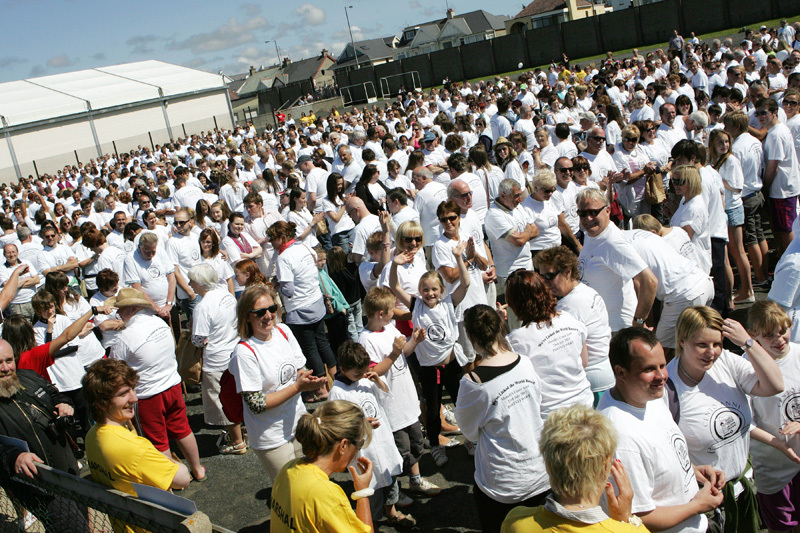 We celebrated our centenary year with lots of fun events including a photographic exhibition, a centenary ball and most exciting of all, Morelli's breaks the Guinness World Record for the longest chain of people (2,728) licking ice cream at the same time. All of these events supported Northern Ireland Chest Heart & Stroke. 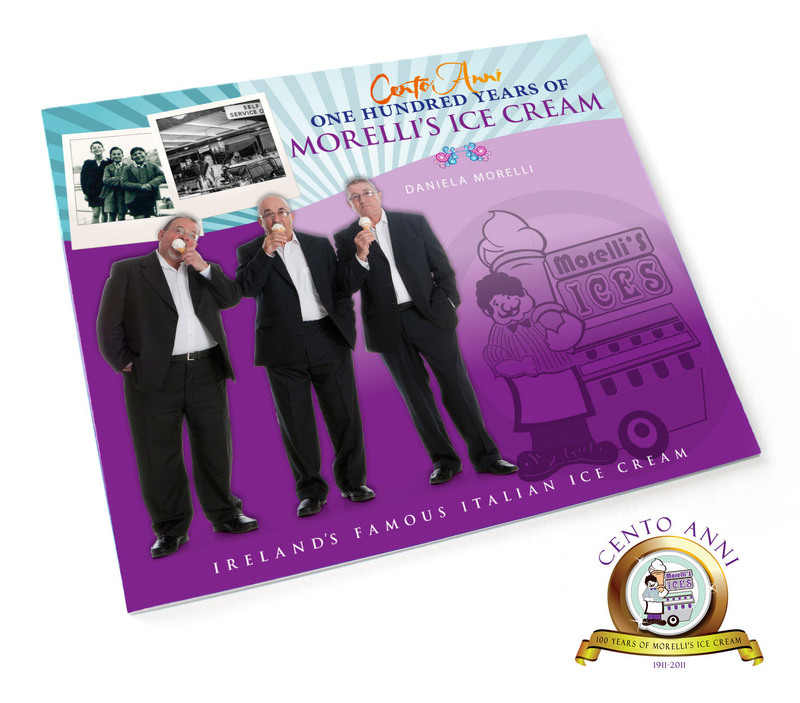 Daniela Morelli also launches her book 'Cento Anni' - A History celebrating One Hundred years of Morelli's Ice Cream. 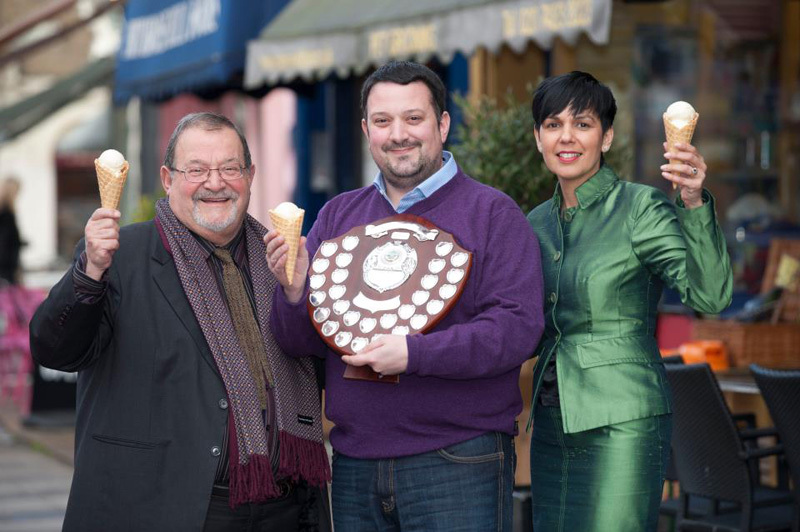 Morelli's Ice Cream is awarded 'Champion of Champions' status for the best Vanilla Ice Cream in the UK and Ireland at a special event in London hosted by the Ice Cream Alliance of Great Britain & Ireland. 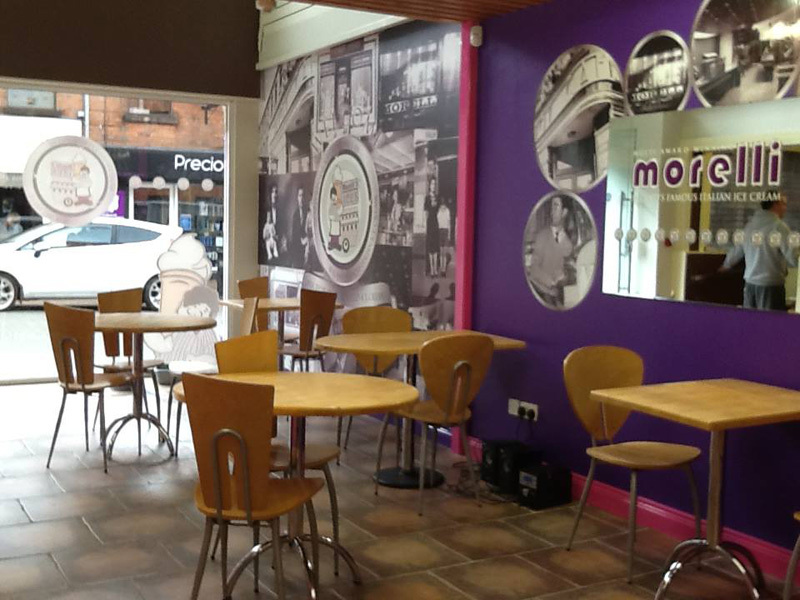 We continue to open more dedicated Morelli Ice Cream franchises across the country, with stores now being located in Ballymena, Garvagh, Belfast, Newcastle, and Balbriggan, Co. Dublin. 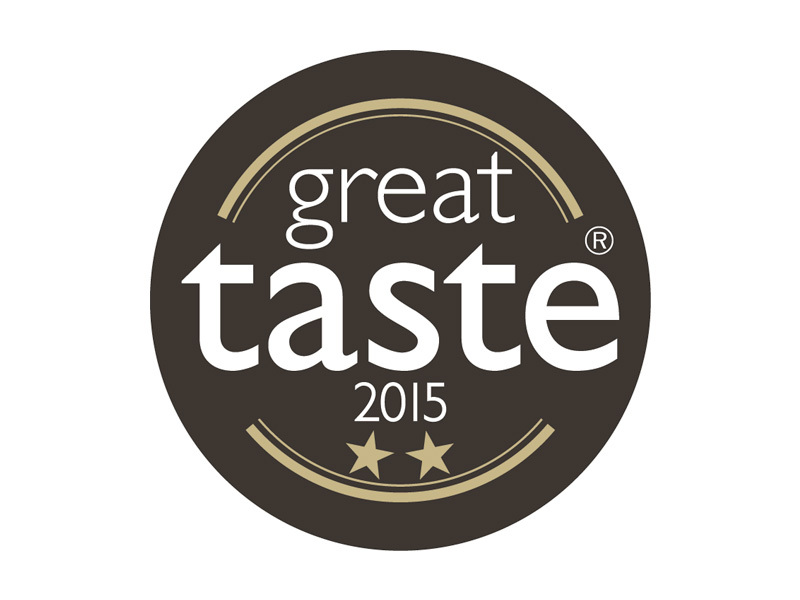 We achieve great success at the Great Taste Awards run by the Guild of Fine Food. We achieved a total of five Gold Stars. Two stars for our Caramelised hazelnut ice cream, Two stars for our Rhubarb & Custard ice cream and One star for our Coffee ice cream. 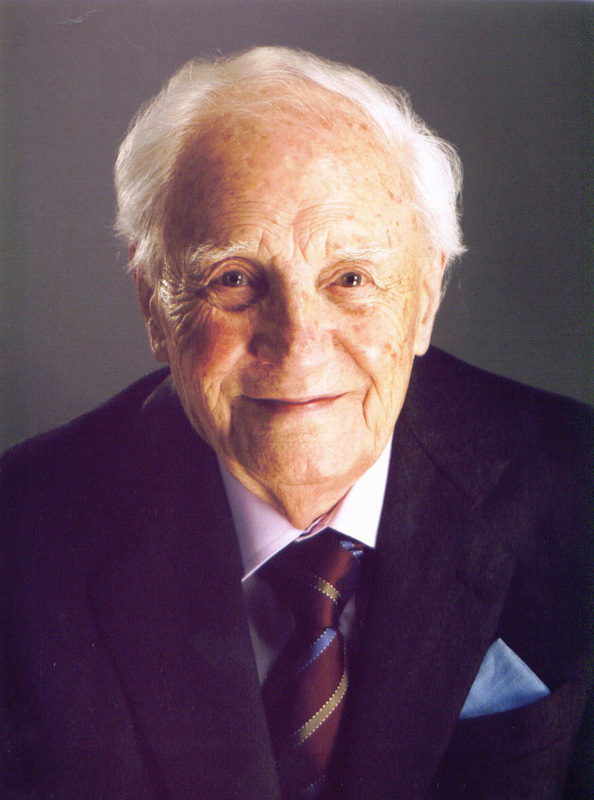 Our beloved Papa Guido passed away at the age of 81. 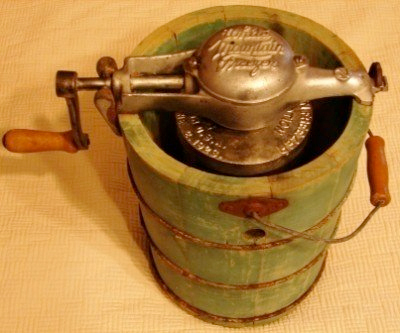 Dad's passion for making ice cream was what he'll be remembered for. His legacy will live on in the hundreds of ice cream recipes he created to be sold in our family shops, supermarkets, hotels, and restaurants across Ireland. Mint chocolate chip was his personal favourite, though he was most proud of our best-selling Double Cream Vanilla. We land a deal to supply 29 Tesco Stores across 15 counties in the Republic of Ireland with our brand new eye-catching packaging design. Plans are also drawn up to expand our production facility at Sperrin Business park. 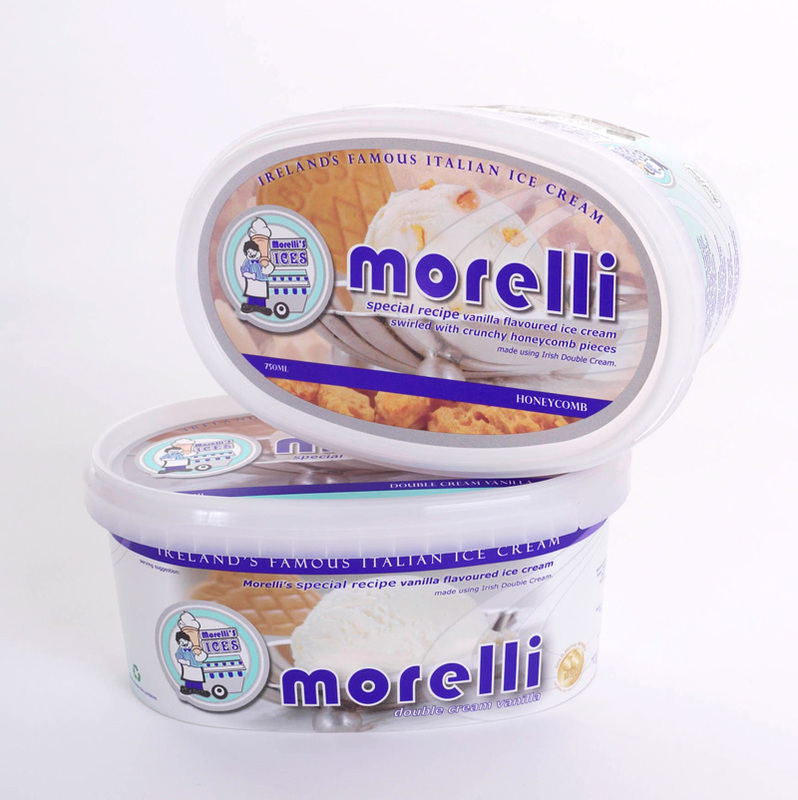 Daniela Morelli takes you on a journey through one hundred years of Morelli's Ice Cream. The story is just like the perfect ice cream recipe. It has been blended together with love, hardship, family strength and Italian passion. 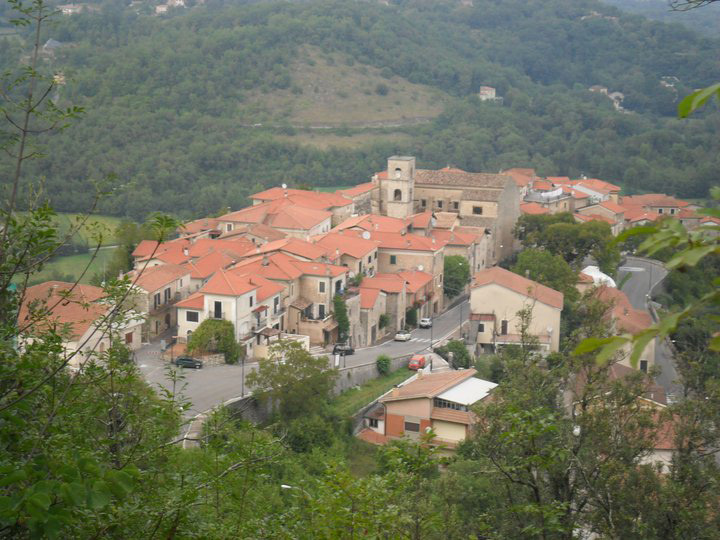 It begins in the idyllic village of Casalattico in Italy and continues on the North Coast of Northern Ireland. 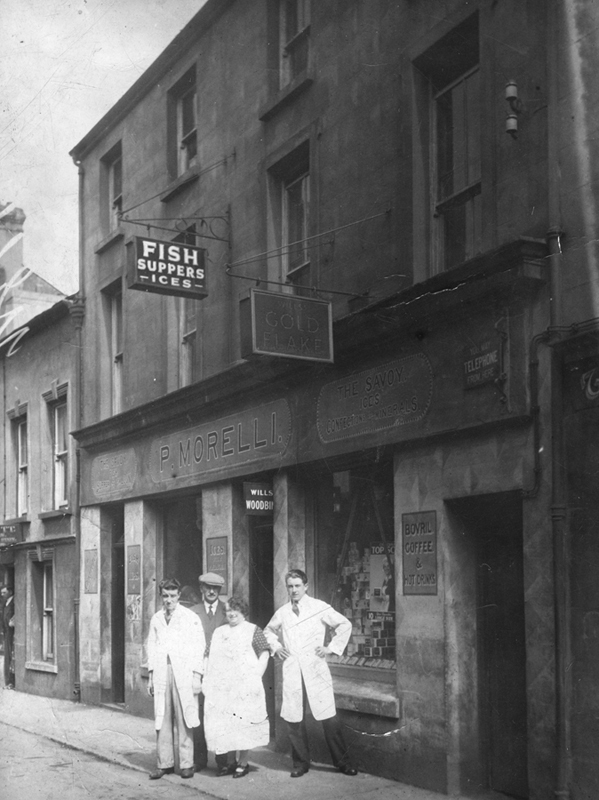 From humble beginnings in Coleraine in 1911, the Morelli family business grew through decades of hard work into the local institution it is today. Follow, through words and pictures, the twists and turns, the colourful characters, and the fascinating string of events that is the Morelli Story.